We offer cabins with full bath. 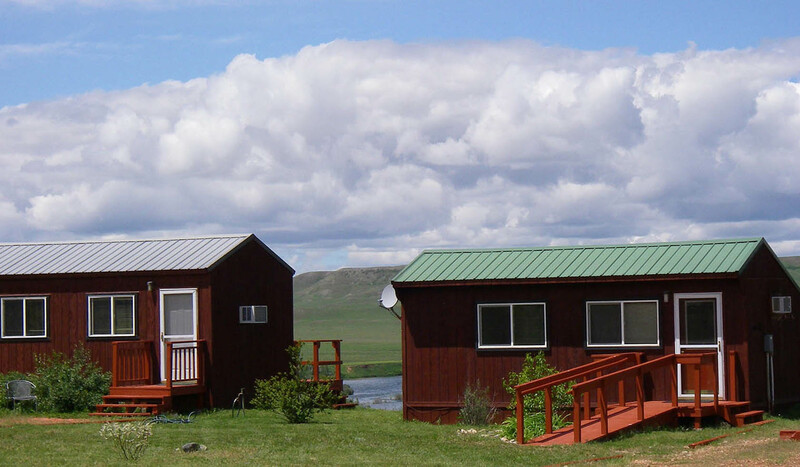 The cabins offer a 360 degree panoramic view featuring the river, mountains, abundant birds and wildlife. The cabins are equipped with satellite television and radio, air conditioning, heat, a mini fridge and very comfortable beds. Each cabin has beautiful mahogany paneled walls with lovely artwork. There are private decks on each cabin on which to relax and enjoy the spectacular sunsets over the river. We have twin and queen size beds available and a rollaway if needed. We now offer wi-fi in all the cabins, complimentary to our guests.